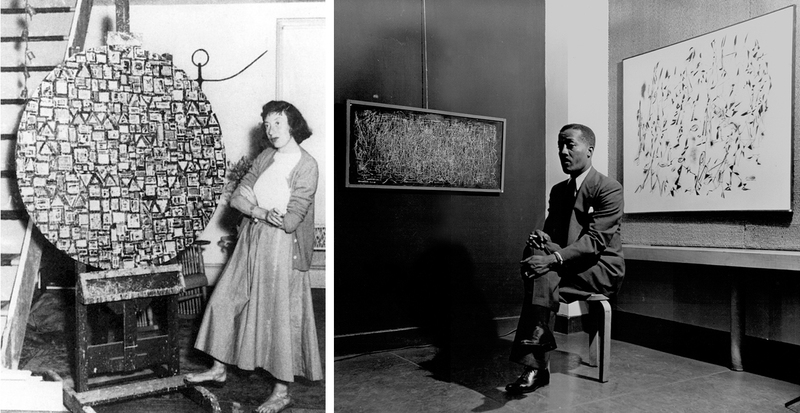 Last week, From the Margins: Lee Krasner and Norman Lewis opened at the Jewish Museum. The exhibition combines the works of an unlikely pair: Lee Krasner, a female Jewish artist well known for being the wife of Jackson Pollock, and Norman Lewis, an African American artist. Both artists were too often left out of major retrospectives and conversations about Abstract Expressionism. 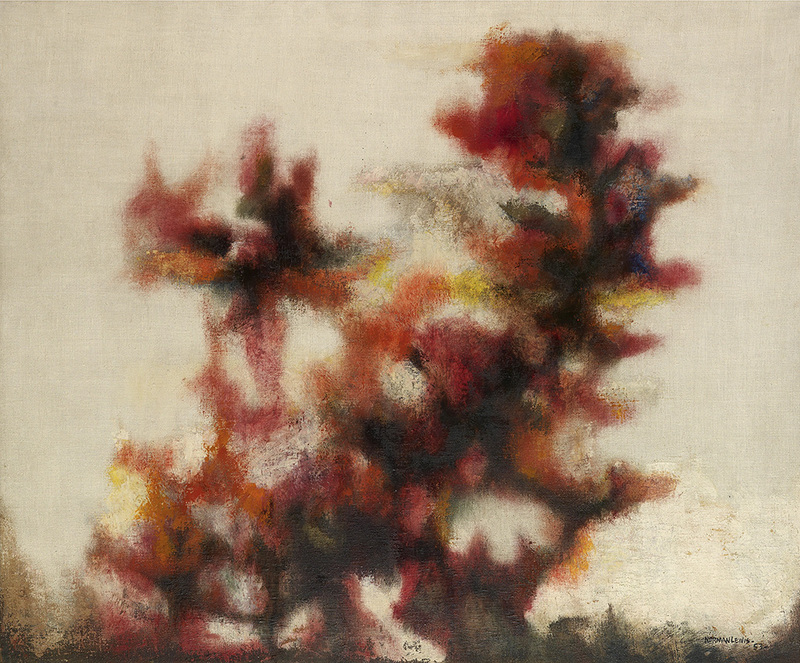 This Untitled oil on canvas by Norman Lewis is a highlight of our October 9 auction. The concept for this exhibition came about when Jewish Museum chief curator Norman L. Kleeblatt noticed that Krasner and Lewis works seemed to almost be in conversation with each other in a show he curated in 2008, Action/Abstraction: Pollock, de Kooning and American Art, 1940-1976. A work on paper, Untitled (Abstract Composition), 1954 is an excellent example of Lewis’s paintings from the 1950s. Krasner and Lee’s paintings share interesting similarities. They are small, easel-size paintings, unlike the larger, more celebrated canvases of Pollock, de Kooning, and Rothko, and one can sense individual cultural influences, i.e. the influence of Hebrew writing on Krasner’s glyphs and jazz on Lewis’s calligraphic figures. 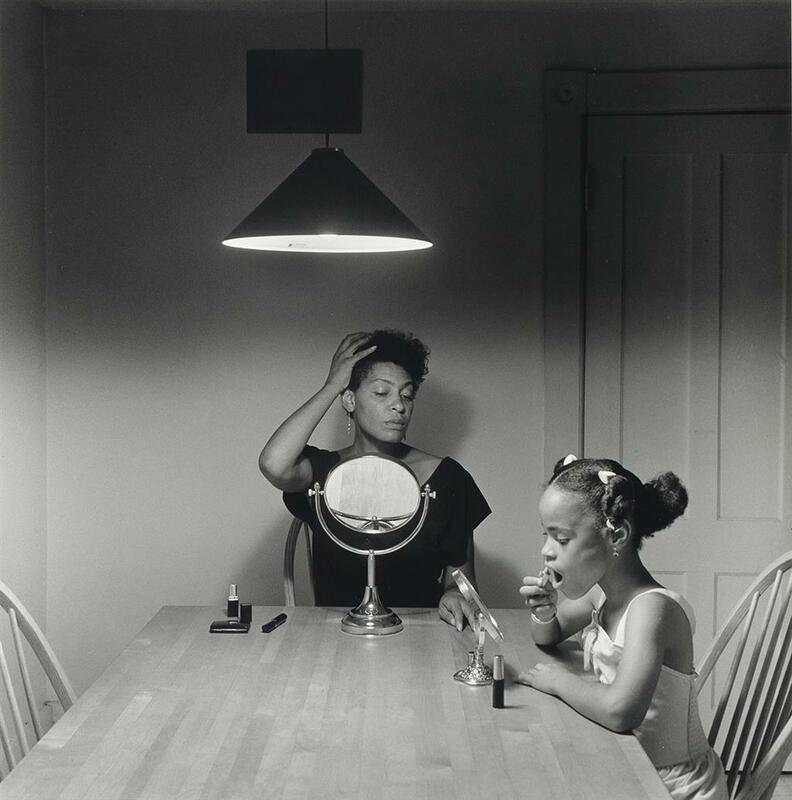 This exciting pairing has been called a “profound exhibition” by The New York Times and is definitely a must-see this fall. 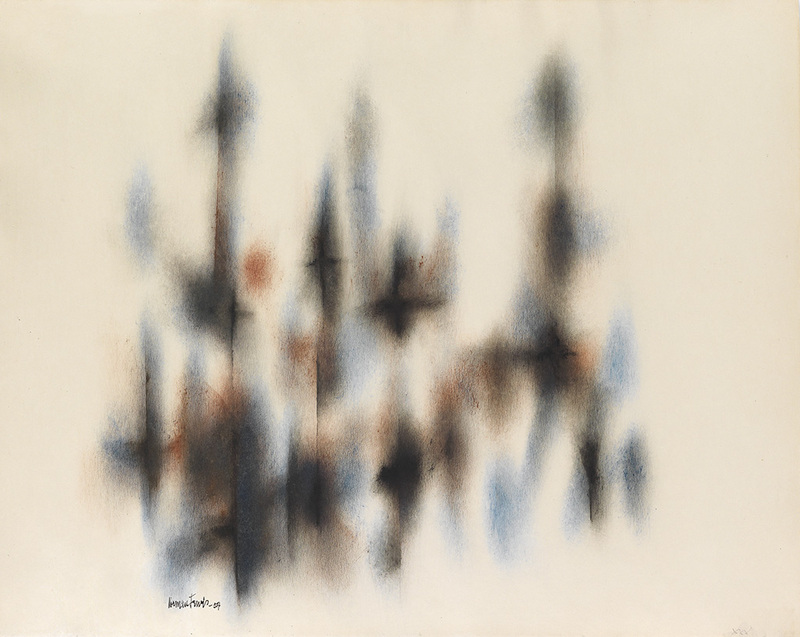 Opaque Shading, 1960, another oil on paper, was once in the collection of Oral Lovell. 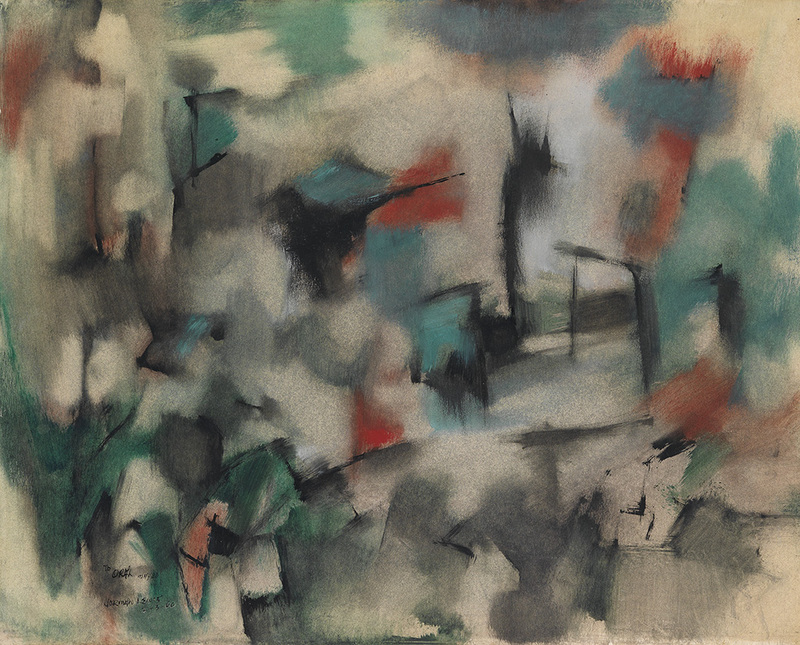 Swann set a record for highest auction price for a work by Norman Lewis in our October 10, 2013 sale, when his Untitled oil on canvas brought $581,000. In our upcoming October 9 sale of African-American Fine Art, we have more wonderful examples of 1950s works by Lewis, including a 1953 Untitled oil on canvas, and works on paper, such as a 1954 Untitled (Abstract Composition) and the painterly Opaque Shading, 1960. 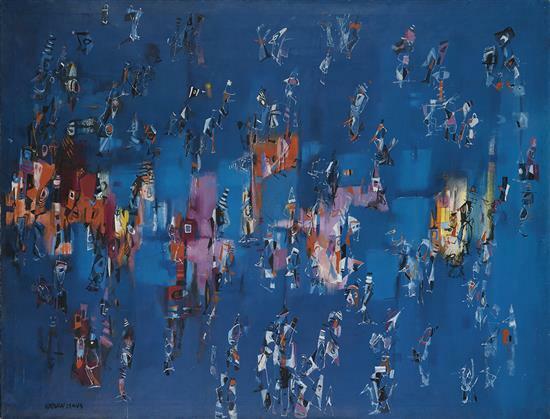 The highest price ever paid for a Norman Lewis painting was $581,000 for this circa 1957 Untitled oil on canvas. September 22, 2014 Happy Birthday, Alma Thomas!